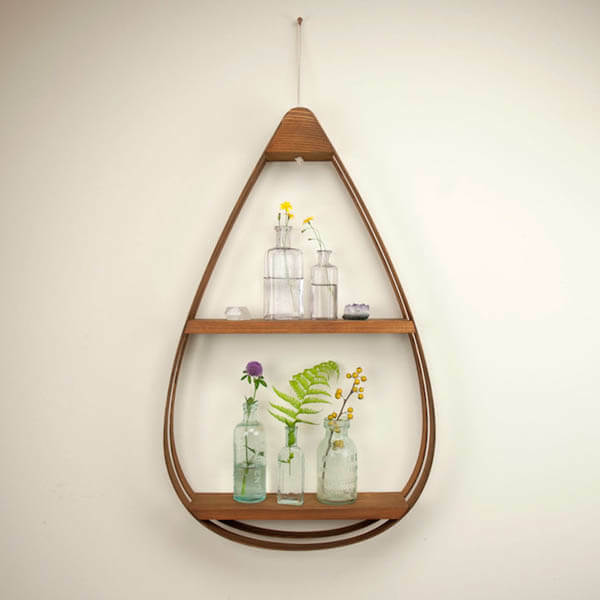 We have featured many creative shelving design on the site. Some of them focus on the functionality – try to store items in a neat and compact way and some of them more focus on display – try to display staff on shelf in an eye-catching way. 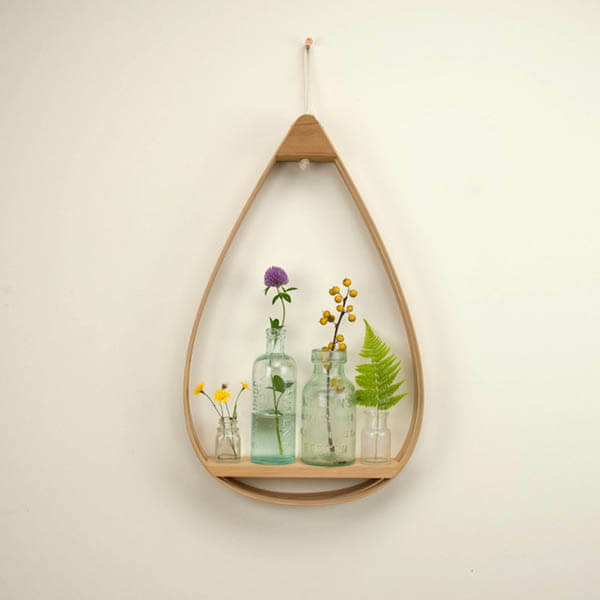 Today’s teardrop shelving is definitely fit in the second group. 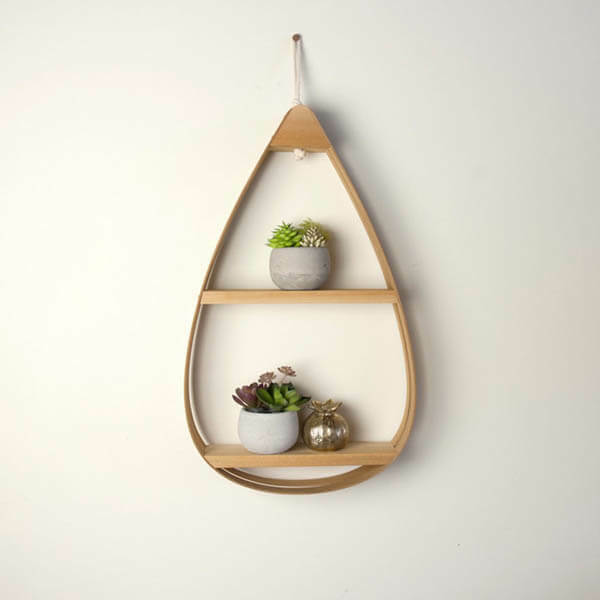 The quirky, teardrop-shaped designs can not only display your favourite items on it in a playful-yet-refined style but also servers as a beautiful decoration on the wall itself. 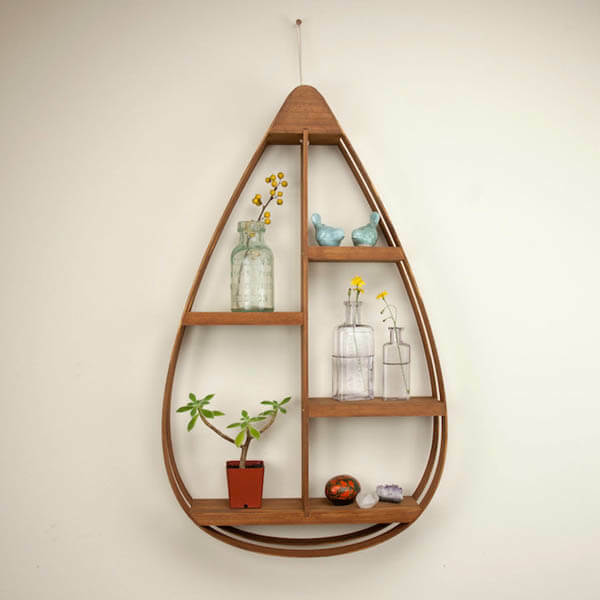 Inspired by mid-century design, Wavertree has handcrafted their shelving using red cedar and pine wood. 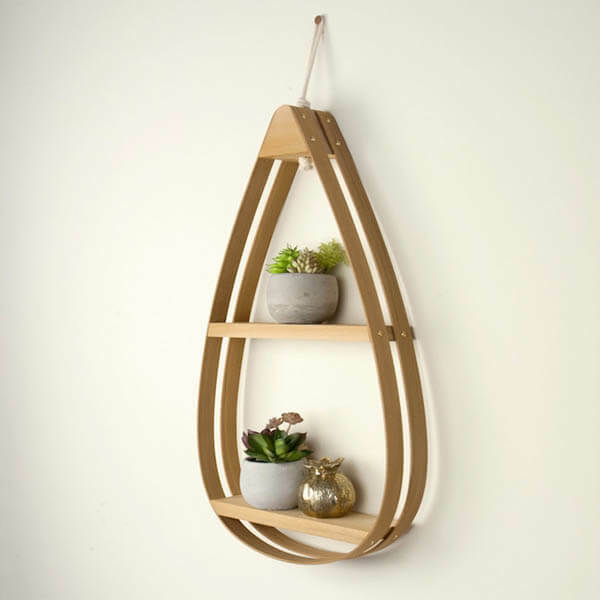 To produce its smooth, graceful shape, the wooden strips are steamed, bent, and hardened into their eye-catching form. The pieces are then stained—in mahogany or a clear finish—and fitted with shelves or dividers. Lastly, they’re topped with a rope loop for easy hanging. 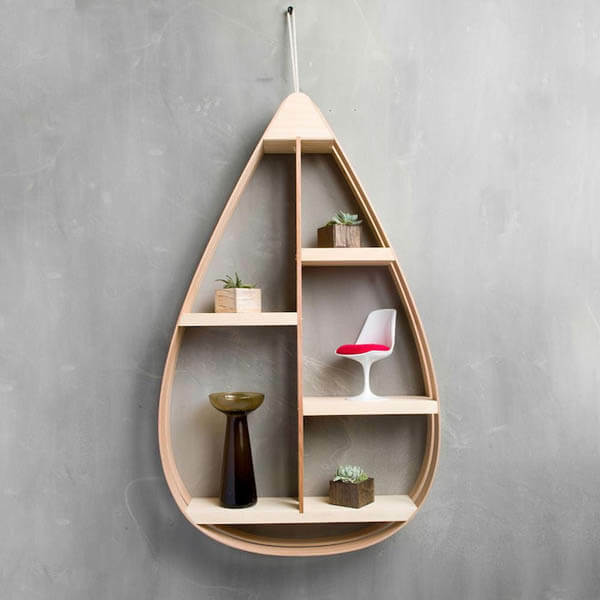 Like the unique teardrop shelving? You can find them on Etsy shop.